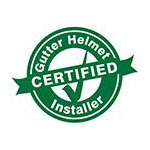 Welcome to Gutter Helmet® by Harry Helmet™, where we provide Maryland residents with high quality gutter protection. Family owned and operated, our rapidly growing company recognizes the importance of communication, hard work and trust. If you are tired of dealing with the frustration of cleaning out your gutters each year, you have come to the right place. We have helped more than 100,000 customers eliminate their need to regularly clean their gutters by installing the most effective gutter guards on their homes. Our reputation for excellence has helped us secure Gutter Helmet® dealership rights. This superior product can extend the life of your current gutters while keeping them clear of debris. We are proud to offer this product to our loyal customers because we truly think it is the best gutter protector currently available. Our total commitment to quality home exterior services has earned us twice-over recognition in Inc. Magazine. More importantly, we have earned the trust of many loyal customers who now come to us for all of their gutter, roofing and awning needs. We protect our customers by ensuring that we always hold appropriate state licenses and liability insurance policies. 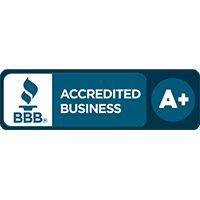 We also have multiple trade memberships as well as an account with the Better Business Bureau. When you trust us to install gutter cover products on your home, you can rest assured that we will complete the project to your satisfaction. 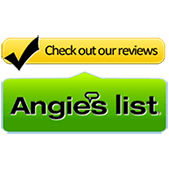 Find out for yourself why we are one of the most trusted home improvement contractors in Arlington, Herndon, Washington, DC and all of Maryland. Improve your home’s exterior today and eliminate your annual gutter cleaning responsibilities by giving us a call at (800) 824-3772 or filling out our online form.